Some months ago I was asked to work with some nine and ten year old ‘reluctant writers’ who were also doing an Anglo-Saxon history project. Could I help them use writing to enter imaginatively into the Anglo-Saxon world? My heart leapt! Decades ago, when I was at university, I’d been lucky enough to enrol on an immensely old-fashioned English literature degree. We started at the beginning, somewhere around the late 7th century, and spent the next three years thundering on chronologically, until we collapsed exhausted somewhere between the First and Second World Wars. This was in the 1970s so we were only a generation or two from home. Many of us felt a little apprehensive when we were instructed to purchase our copies of the most recent edition of Sweet’s Anglo-Saxon Reader – initially published in 1876 when it was shockingly modern even to consider English literature as a subject for study. Our nervousness deepened at the first sight of these unfamiliar looking texts with their aescs and thorns and (much worse) their inflections and agreements and genders. A stiff course of A level Latin gave me some initial confidence but I can still recall approaching the first sessions anticipating hours of cerebral sweat for some essentially arid reward. How wrong I was! Once a few spelling conventions and vowel shifts had been understood it was startlingly apparent that this was my native language. Yes, there was all the scary stuff of strong and weak verbs and alternative ways of forming plurals or writing in the past tense but the core words were the core words of today: earth, sea, sun, moon, man, woman, son, daughter, house, ship, sleep, wake, time, love, laughter, night and day. These are all Old English words. I remember feeling quite resentful at the way that Latin had so dominated my language education until that moment. Whilst most of our undergraduate curriculum was general and compulsory there were moments when specialisation was allowed. I seized my chances to spend more time with this literature. Why did I love it so much? The excitement of understanding, the mix of similarity and difference? Old English poetry worked on a completely different construction principle (stress and alliteration) from anything I’d previously encountered; Old English prose (I’m thinking of the Anglo-Saxon Chronicle here) conveyed actual voices recording the events of their time, in my country. Suddenly there was a glimpse of an unknown era which was developing its own distinctive law and culture. A time when language was first making literature and when the unwritten words of poets and story-tellers could gather people together as effectively as light and warmth on the long cold nights. So that was all well and good, but it had been almost forty years since I’d closed my Sweet. How was I to turn this into a morning’s activity for thirty ‘reluctant’ Year Fives? Actually it wasn’t hard. 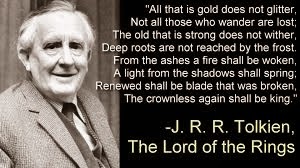 The Anglo-Saxons had loved riddles and so did the children – encouraged by the master populariser, JRR Tolkien. They also enjoyed extending their language by the creation of kennings ('Word-hoard' is a kenning. It's a condensed metaphor and in this case means language. It could equally mean dictionary or vocabulary.) The class enjoyed that too and it wasn’t long before we were all (teachers included) writing balanced, alliterative poems of our own and gathering at night in the hall of Heorot to eat and drink together. Would the unexpected visitor at the door be a monster come to tear one of us away, an exile seeking shelter or a wandering minstrel offering us news and entertainment? It wasn’t long afterwards that I realised that the deadline for the submission of short stories for the AE Anthology was almost on me. Regular visitors to this blogsite may have noticed that I have been preoccupied with matters pertaining to dementia over the last few months. One of the rather dismissive (and inaccurate) descriptions sometimes applied to people with dementia who habitually get lost on journeys that appear inexplicable, is ‘wanderer’. It’s an Old English word of course and the OED records its first written appearance as being in King Alfred’s translation of Boethius from the later ninth century. Where the word does NOT appear is in the famous and beautiful Anglo-Saxon lyric fragment that has become known as ‘The Wanderer’. The protagonist here is an ‘an-haga’ (lone-dweller), he is an 'eard-stapa' (earth-stepper) and crucially he is ‘werig-mod’ (weary in heart and mind) as he ‘wadan wraeclastas’ (travels the paths of exile). Anyone who has observed a friend or relative lost in their own mind and increasingly exiled from their identity – particularly that part of it which depends on language – will understand how that thousand year old poem might continue to resonate today. 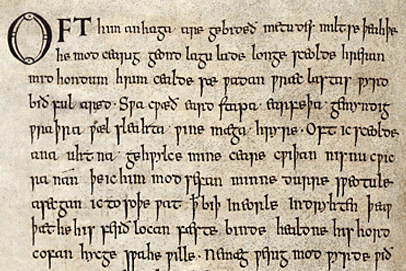 The Old English 'Wanderer' can be found in the tenth century Exeter Book (see above). 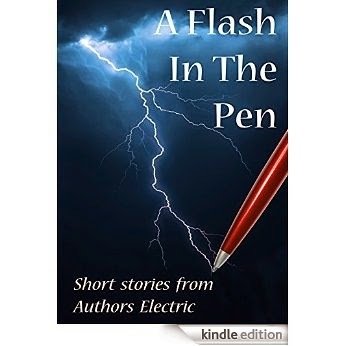 My story of the same name will appear in the AE collection A Flash in the Pen (to be published 21.6.2015). I'm also looking forward to being part of the 2015 Felixstowe Book Festival a few days later. A post that's a beautiful hymn to language - and that children's workshop sounds as if it was a wonderful experience for everyone. A beautiful post saying true things, Catherine. Thank you. It's cleared away some of my post-election depression. Beautiful, Julia. I share your nostalgia about 'old-fashioned degrees' but mine centres around French literature and language. After being awakened to the subtleties of textual analysis as a student (by critics such as G. Wilson Knight and I. A. Richards), luck got me a job as a university teacher, so I was paid a salary for reading stuff from the medieval chronicles and Francois Villon to Sartre and the Absurdists (which is as modern as we got in the 70s and 80s). The thought that such comprehensive exposure to our cultural history has been replaced by narrow vocational programming is depressing. Your 'reluctant writers' were fortunate to have you. So beautiful Julia! Like you, my degree involved getting lost in Anglo Saxon (yes, Sweet!) and Old Norse. Also like you, I found my native language (Cumbrians brought up to speak dialect are better understood in Oslo than London). The literature has been a life-long love affair with language - calling the sea the 'whale-road', images of hands frozen to the oars on a winter sea . . . Thank you for lifting my spirits on an otherwise deeply depressing, post-election, morning! Now I must go and identify either bread or steak, or type numbers imaged by someone who has not gone to SpecSavers in order to prove I'm not a Robot - life is very strange. A really beautiful post, Julia, that reminds me of how much of my own country's history remains unknown to me. I can't understand why these things weren't better taught at school. And I agree with Bill - the reluctant readers were lucky to spend some time with you, and hopefully won't be quite so reluctant in the future! Hige sceal þe heardra, heorte þe cenre,mod sceal þe mare, þe ure mægen lytlað. I too studied Anglo-Saxon via Sweet, I actually chose the course because of this, and went on to study Middle English, Early Middle English, and Old Icelandic as part of my first degree. I too had done Latin, and Ancient Greek. So many wonderful languages make up English which still grows and changes. I love the Wanderer, and also a similar poem The Seafarer. 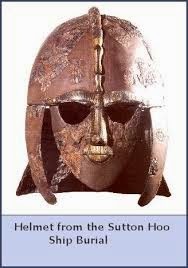 Society for Anglo-Saxons was very different from ours in many ways, but their hearts and minds are recognisable and familiar. Lovely post, Julia. 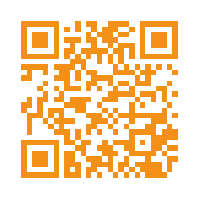 I'm looking forward to reading your story. A fascinating post ... thank you.